Furnaces are one of the most popular and effective ways to heat your home, and Millie’s Heating & Air Conditioning carries an excellent selection for you to choose from. Our Arlington furnace installation services will carry you through from start to finish, so you can be sure you wind up with the very best furnace for your home. The first thing you have to decide when you are selecting a new furnace is what type of energy source you want it to use. Furnaces typically run on oil, electricity or natural gas, and the one you choose will have much to do with what is available in your area and what their relative costs are. Gas is almost always the cheapest option, but if it is not available to you, there are many great oil and electric furnaces as well. Once you have selected a type of furnace, it is time to look at their relative energy efficiency. Almost all furnaces made today are rated for at least 80% AFUE, meaning that they turn 80% of the fuel they consume into actual heat for your home. There are also furnaces rated up to 90+% AFUE, and these are the cheapest to operate over the long term. The more efficient the furnace, though, the more expensive it is likely to be. If you use your furnace a lot, it is worth paying the higher installation cost because it will be offset quickly by the savings you receive on your energy bill. If you do not use your furnace a great deal, however, you might be better off with a slightly less efficient furnace. These distinctions can be difficult to make, so it is best to consult one of our professional technicians to help you decide how energy efficient you need your furnace to be. We want to make sure that the furnace we put into your home is the best fit for you in every way, and we are always available to answer your questions and guide you through the selection process. Another important part of our professional Ashburn furnace installation service is proper furnace sizing. A furnace that is too small will struggle to keep your home a comfortable temperature, and it will wear out more quickly than one that is the appropriate size. It will also use more energy than it should to heat your home, and all of these will cost you more money in the long run. A furnace that is too large will have almost all of the same problems although for different reasons. Plus a larger furnace costs more to install, so you will be spending more money than necessary by purchasing a furnace that is too large. That is why our professional technicians will take into account all of the measurements and dimensions of your home to determine exactly how powerful your furnace needs to be, and that is the size we will install for you. When you hire us for professional furnace installation services, we will work closely with you to make sure you understand what we are doing and when. We only use the highest quality parts and materials in all of our installation projects, so you can be sure the work we do will serve you well over the long term. 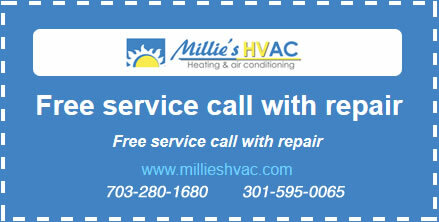 So whether you are ready to schedule your installation or whether you want to learn more about the great furnaces we carry, be sure to give Millie’s a call today.